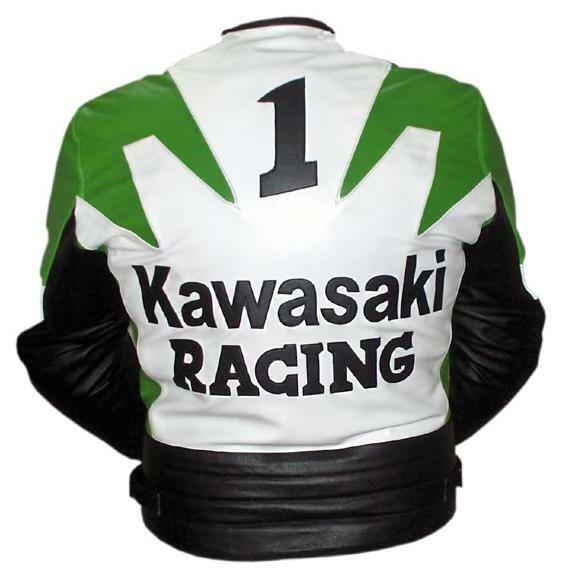 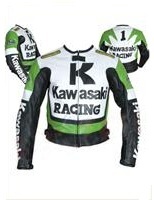 This Kawasaki Racing Motorbike Leather Jacket is slightly tight fitted from waist. 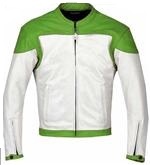 Jacket is less stiffer if wear without Motorcycle pads. 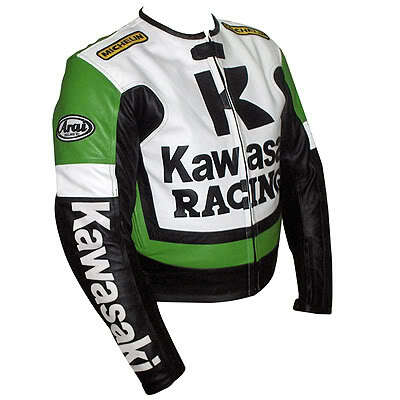 This Kawasaki R Jacket is made with Cowhide Leather 1.2~1.3mm, the leather is milled grain. 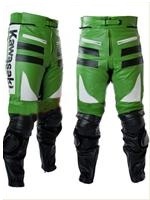 8 inch connecting zip to join to leather trousers. 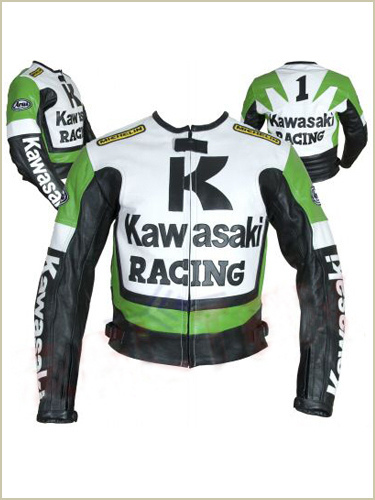 Suitable for all weather conditions.